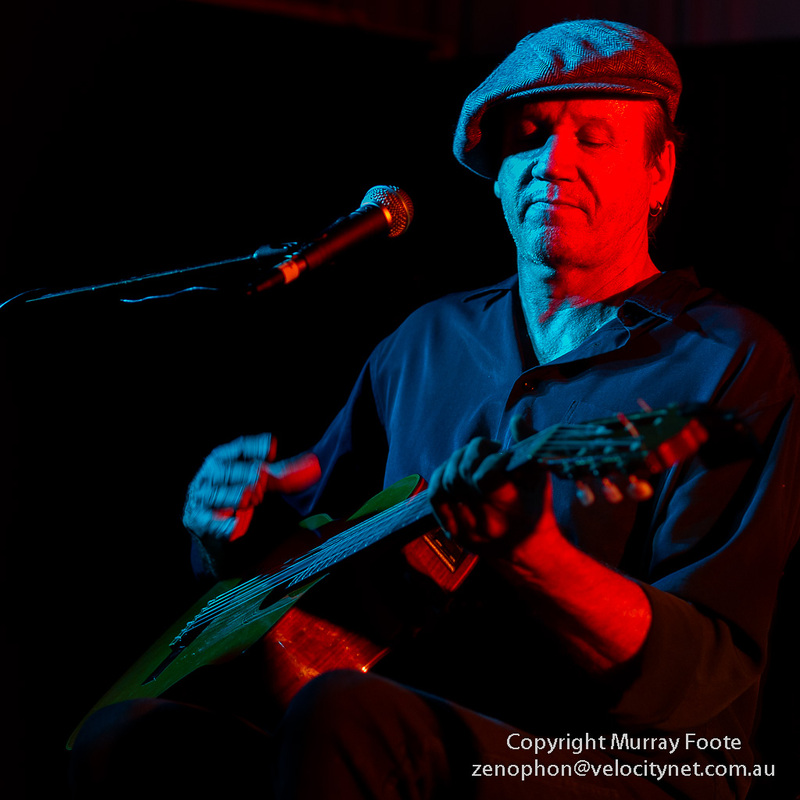 Last night, on Friday 22nd February, we were fortunate enough to see Sugarcane Collins live in concert in one of our local venues (the Harmonie German Club). 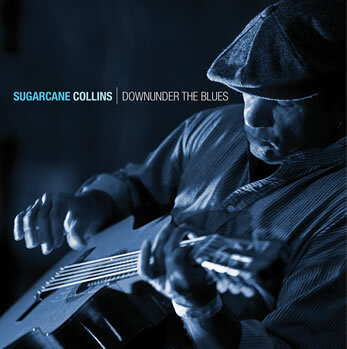 Sugarcane (or Andy) Collins hails from the far North of Queensland, in some ways the Deep North of Australia as compared to the Deep South of the US (southern hemisphere, remember). Some years ago he used to play with a full rhythm and blues band. These days he mainly plays solo. His music is original, his style is distinctive and he is deeply versed in the Blues music and culture of Mississippi and Louisiana. I’m not sure that a comparison is warranted but perhaps Otis Taylor occasionally sounds a little bit similar. His CDs don’t come all that often and they are worth waiting for. The previous one, Way Down the River, revealed the experience of the American blacks as though he had been born a black in Mississippi. 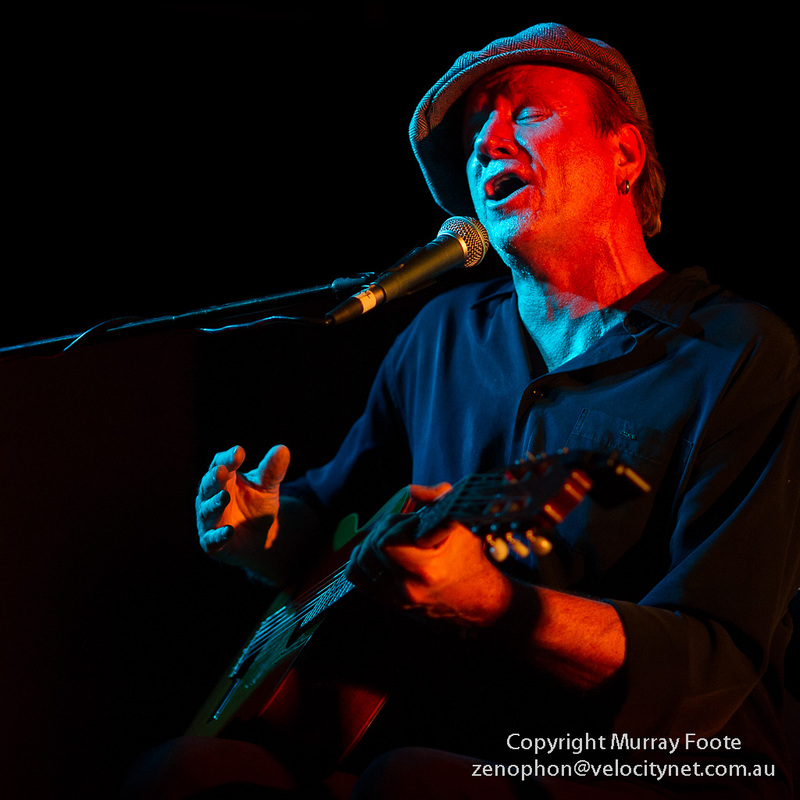 His new CD, Downunder the Blues, focuses on concerns and experiences in Australia, including the Aborigines and the Environment. It was a memorable performance, as you might well imagine. This is the cover of his new CD. As it happens, it features one of my images, from Thredbo Blues Festival a few years ago. A few more images (another 4 for 8 in total). 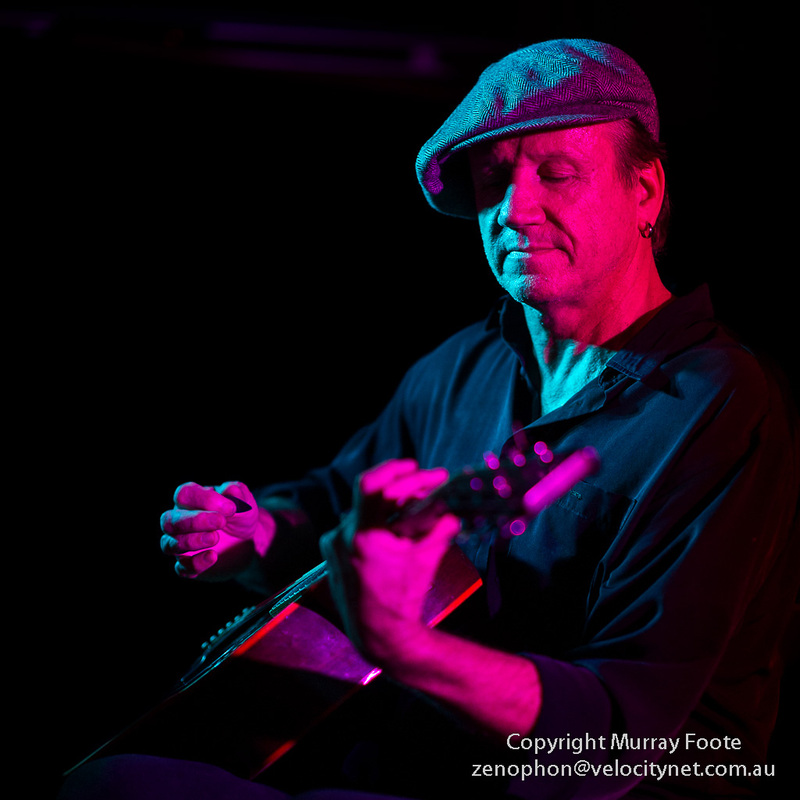 This entry was posted in Australia, Blues and tagged Australia, Blues, Live Music, Photography, Sugarcane Collins, Travel. Listening to some on YouTube. Interesting sound, I am liking him. … And great live too. 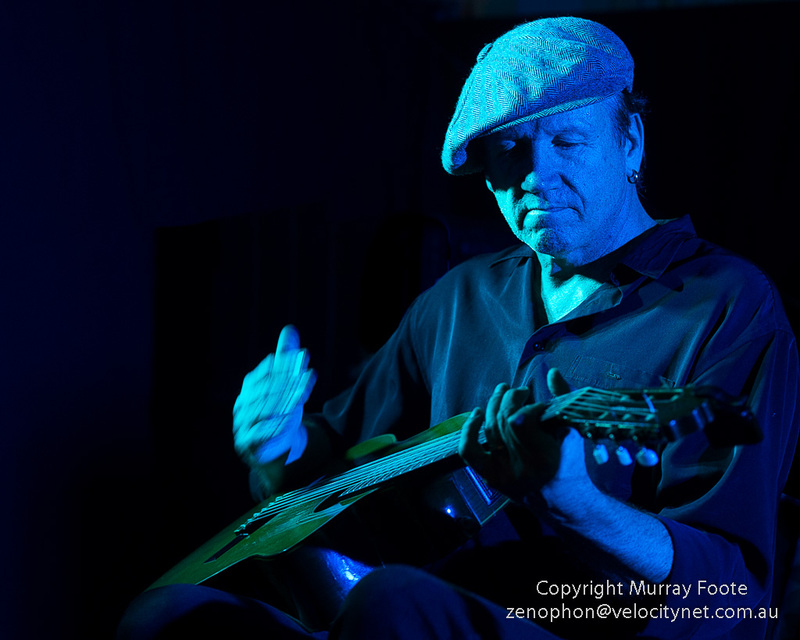 I think the difference from most musicians is that he doesn’t just play songs that may be largely unconnected, he conjures up a vision of the present and the past and takes you on a journey with him. Live is what I judge anyone on. Hedy that test. Really liking him. Thanks for the find. Thanks very much Dan. Always a special favourite.